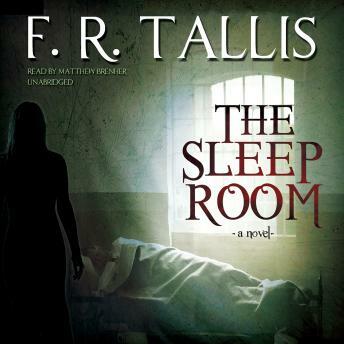 From Edgar nominee F. R. Tallis comes his latest tale of psychological suspense—and a brilliant reinvention of the ghost story. When promising young psychiatrist James Richardson is offered the job opportunity of a lifetime by the charismatic Dr. Hugh Maitland, he is thrilled. Setting off to take up his post at Wyldehope Hall in deepest Suffolk, Richardson doesn’t look back. One of his tasks is to manage Maitland’s most controversial project—a pioneering therapy in which extremely disturbed patients are kept asleep for months. If this radical and potentially dangerous procedure is successful, it could mean professional glory for both doctors. As Richardson settles into his new life, he begins to sense something uncanny about the sleeping patients—six women, forsaken by society. Why is Maitland unwilling to discuss their past lives? Why is the trainee nurse so on edge when she spends nights alone with them? And what can it mean when all the sleepers start dreaming at the same time? In this atmospheric reinvention of the ghost story, Richardson finds himself questioning everything he knows about the human mind as he attempts to uncover the shocking secrets of the sleep room.